Russian and Turkish top diplomats have agreed to continue work with the participants in the meeting on Syria in Astana to promote the intra-Syrian negotiation process and noted the importance of direct contacts between Damascus and the armed opposition, the Russian Foreign Ministry said in a statement on Jan. 24 following telephone conversation between Russian Foreign Minister Sergey Lavrov and his Turkish counterpart, Mevlut Cavusoglu. "The two ministers discussed the course of the international meeting on the Syrian settlement in Astana," the ministry said. "The two sides noted the importance of establishing direct contacts between the Syrian government and representatives of the armed opposition to consolidate the ceasefire and launch the intra-Syrian dialogue as the only way of achieving peace in Syria." "They agreed to continue work with the Syrian participants in the Astana meeting to facilitate its successful conclusion and get ready for the resumption of the talks on the settlement of the Syrian conflict in Geneva," the Russian Foreign Ministry said. Earlier the Syrian opposition delegation said it wil not sign the Astana meeting communique drawn up by the guarantors of the Syrian ceasefire. 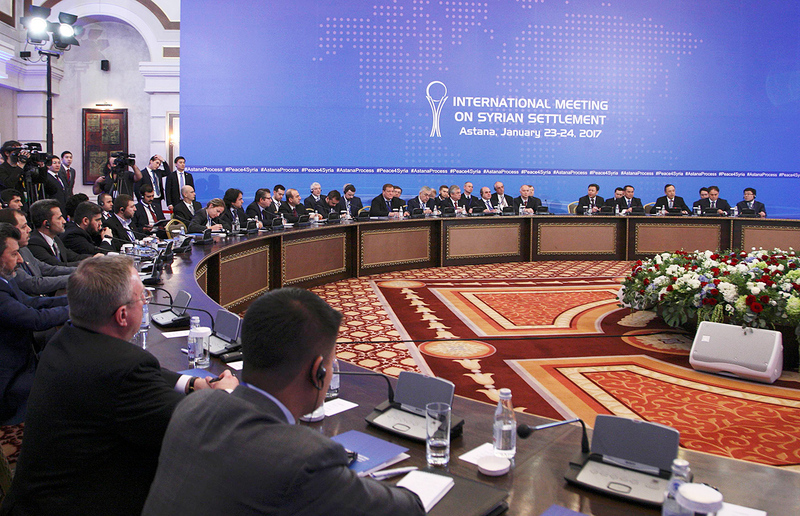 The negotiations on the Syrian settlement got underway in Kazakhstan’s capital on Jan. 23. The talks have brought together representatives of the Syrian government, opposition, as well as Russia, Turkey and Iran as the guarantors of the ceasefire agreement in Syria.